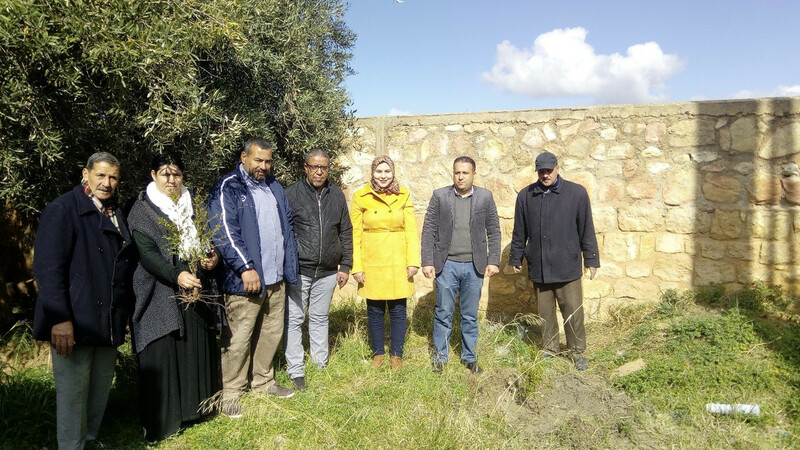 Annually, on the third Monday of January, the High Atlas Foundation (HAF) holds a high-profile day of national tree planting across Morocco. 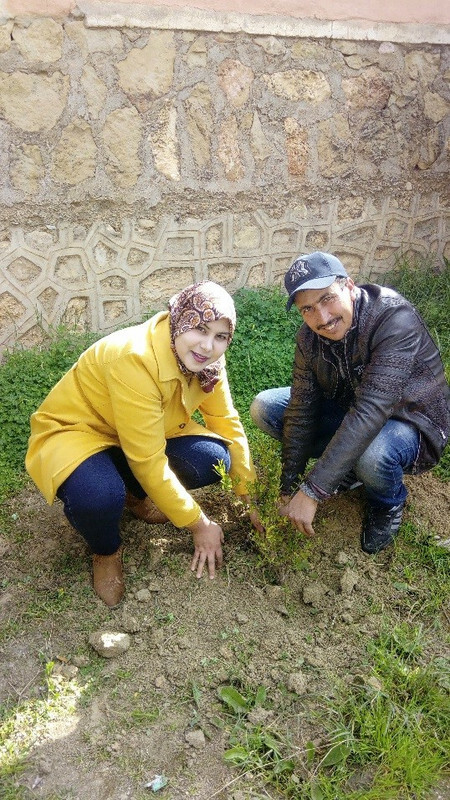 On this day—the 21st of January this year—Fatima Zahra Laaribi, HAF’s financial Manager, and Abderrahim Baddah, HAF’s nursery caretaker, headed toward Amizmiz, a small mountain town located 60 kilometers southwest of Marrakech, to celebrate a memorable day of planting. 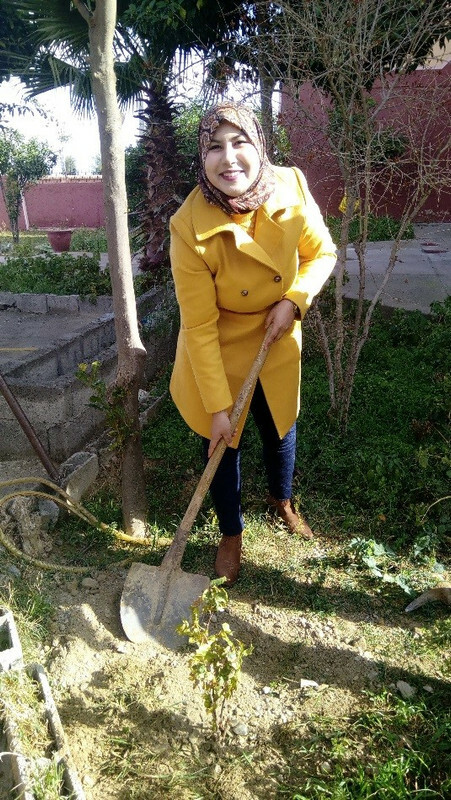 On that morning, in the girls’ dormitory, Ms. Laaribi started her talk with a saying by the Prophet Mohammad (may Allah bless him and grant him peace): « If the Final Hour comes while you have a palm-cutting in your hands and it is possible to plant it before the Hour comes, you should plant it » (as reported by Anas ibn Malik, a companion of the prophet). Then, administrative staff spoke about Quranic passages related to fig and olive trees and their benefits. For instance, trees help people to become connected to the growing process while also providing a nutritious food source and food security. Planting fruit trees also has many helpful environmental benefits, from cleaner air to reduced energy costs. Together, we tried to raise awareness of the importance of planting trees in schools and sharing our insights about why we think that planting trees is important. For high school students studying life sciences and land, the trees will help them in their studies, as they can use the green space in their schools as a learning laboratory. HAF provided 20 grape plants, 20 pomegranate saplings, and 20 fig saplings and involved a nursery caretaker who ensured that the saplings were planted in properly. The president of the parent’s association and the administrative staff were eager and energetic as we pulled up to deliver the trees. They were so happy to be a part of the planting event and participated actively in the planting process as they showed their full engagement. All of us took the initiative and planted in an organized way to ensure that all the saplings were planted on the ground and that we took their GPS points to track their growth in the future. We were invited by the directors of the schools to make a short visit to the schoolyards to show us the potentials of the schools. We want to plant more trees with them in the coming year. We were very impressed by the environmental club that they created in their schools and how quickly growing beautifully even though it was established in last October. All the tiny saplings that the students planted this year had grown beautifully. Such an initiative in schools encourages us to work with them in the future. Moreover, the growth of these trees assured us that students, teachers, and headmasters will give great care to these trees. While visiting the schoolyard, many questions were raised such as, is there a nearby and dependable water source if we plant in the future? If we plan to establish a nursery in this large spare space in the school is this will be this accepted by the delegation of education under the school plan? We learned a lot about their environmental and ecological needs in terms of training of planting techniques. 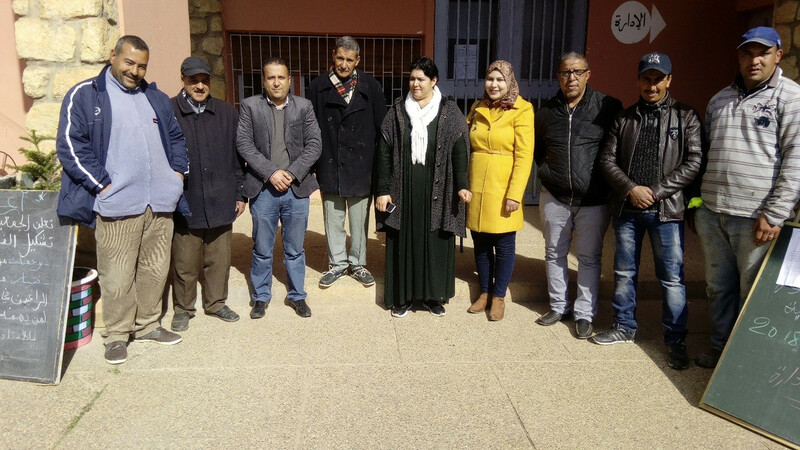 For Moroccan schools, it is important to be open to their partners and to involve all of them, specifically the civil society. Today Moroccan school is in dire need of openness to its surroundings if it wants to invest the highest potential available. But this will be achieved only if the educational administration changed its approach, which is – and unfortunately – away from activating the educational system. For the school to be open, the administration must firmly believe in this openness, its positive, and the important of the schools’ partners. Administrative staff and the president of the parent’s association showed their appreciation, joy, and happiness. They were so excited to participate and assured us that their teachers and headmasters will take care of these trees and will water them. The day ended with hope and excitement for the future, as directors and the president of the parent’s association and its members, expressed their gratitude and their desire to work closely with HAF.